A recent report commissioned by English Heritage, The Changing Face of the High Street: Decline and Revival, looked into trends, developments, and changes in historic high streets and town centres in the UK. We thought its findings might be relevant and hold some valuable lessons for the town of West Malling. town centres, and more particularly the way this could affect historic buildings, streets, and spaces. 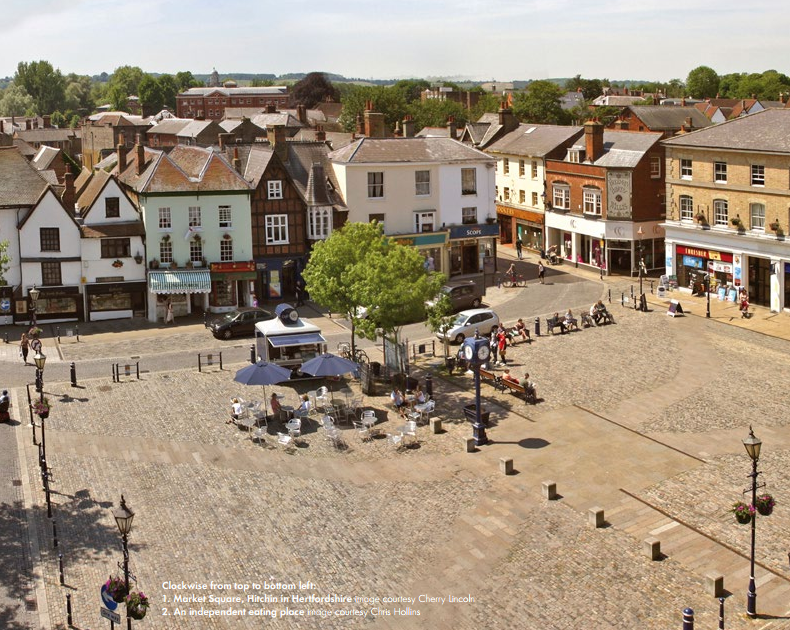 Many historic town centres and high streets, including those of West Malling, have grown up around the evolution of trade and retail, and the health of local retail is very much intertwined with the maintenance of local heritage. There are many factors that have had an impact on UK high streets in the last decade. Large national chain stores began appearing in every town, often making it difficult for independent retailers to compete. Gradually these stores began to shift to out of town shopping centres for more retail space and better parking, or began to close down due to the economic downturn. This left many vacant town centre units, often in historic buildings, which were either left unoccupied, or were occupied by value retailers who could fill the large spaces. Many of the services such as banks and post offices that traditionally occupied significant historical buildings within a town began to close down, increasing the burden to maintain these properties. 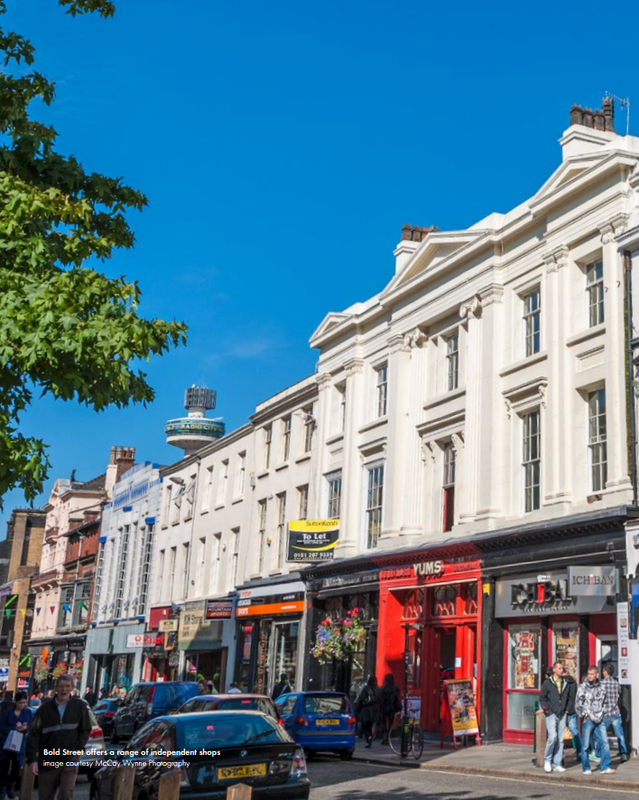 However there is some very positive news for historic high streets and, according to the Local Data Company, independent retailers have seen a growth in floor space in the last year, compared with a decline in floor space for national multiples. Independent retailers are vital in providing a sustainable economy and a sense of uniqueness to a town. The traditional high street has an important role to play in community identity, and many people have a strong commitment to their local town centre. The English Heritage report suggests that both locals and visitors to a town are looking for a sense of place and of individuality, which is often based upon the heritage of the town. One of the prevailing findings of the report is that town centres need to be about more than just shopping, with visitors wanting a leisure experience that might include tourist and cultural attractions, places to eat and drink, and entertainment venues such as cinemas or theatres, as well as retail stores. • Refurbishing and reusing heritage assets. Often existing historic buildings can be sympathetically redeveloped to increase footfall in the town. An example is given of the listed nineteenth century Market Hall in Bolton, which has been restored and converted to a town-centre shopping and eating area. • Rejuvenating the tourist economy. Heritage towns such as West Malling have a fascinating history, and a wealth of buildings or spaces that could be used as small scale tourist attractions that would give visitors something other than shopping to do whilst visiting the town. A town tour, or simple signs giving details about places of interest can work well. • Providing leisure activities. Making sure that visitors and residents have something to do apart from shopping is an effective way to maintain historic centres. Apart from tourist attractions already mentioned, cafes and restaurants, libraries, exhibitions, cinemas, and children’s play areas all give people a reason to visit town centres. Casual dining is now particularly important. • Integrating a food store with a historic centre. Those that support local shopping may dislike the idea of integrating a food store into a historic town, but supermarkets have become experts at developing stores that fit the space and appearance constraints of historic centres, and they do attract shoppers who may well then use other shops and facilities in the town. The report indicates that often small scale local interventions and creative initiatives can be just as effective as large scale investments, because they are owned by the community and defined by history and heritage. There can’t be one scheme that works for all historic centres; the most successful are those that recognise the need for local distinctiveness and make the best of what they have. One case study in the report looks at the town of Rotherham, which has been gradually taking a number of small steps to regenerate its historic centre. These have included the restoration of the Imperial Buildings which is an Edwardian shopping arcade, the general repair and maintenance of historic buildings, improved parking in the town, a shop local discount scheme for residents, a program of outdoor community events, floodlighting local landmarks, and encouraging family friendly restaurants so visitors have a reason to stay in the town after the shops have closed. Overall the report, which was prepared by Allies and Morrison Urban Practitioners, recognised that reviving and maintaining historic centres will never be an easy task, but indicated that there have been some positive results from innovative approaches, even in testing economic times. They suggest that small scale projects that embrace the individuality of each historic town, identify how to make the most of what the town already has, and incorporate leisure and entertainment as well as shopping, are the most likely to succeed.